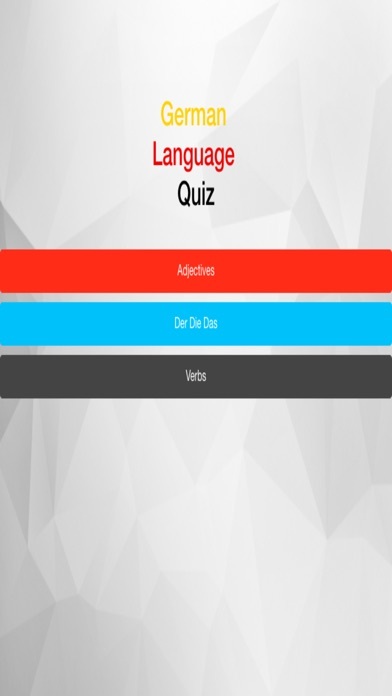 German Language Quiz is a quiz that helps you to learn the german declension. it tests the german adjective declension with : - definite articles - undefinite articles - null articles The german grammar is important to know because in the way to speak the the german language fluently. 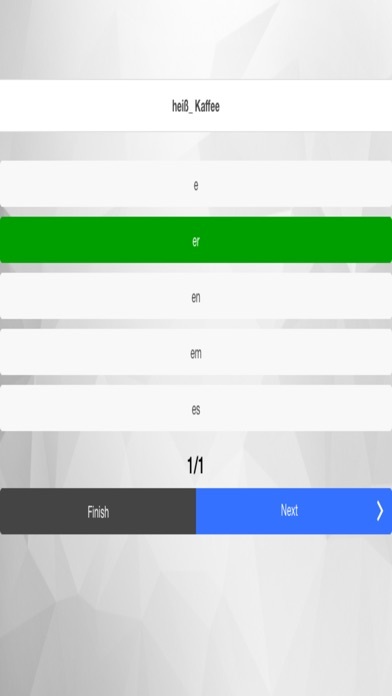 if you want to learn the adjective declension, so this app German Adjective Declension is the way to help you achieve your goal in learning german language. We say "Repetition is the mother of skills", that means if you try to play this german quiz frequently. You find in this quiz : - German adjective endings with the definite article (der, die, das) - German adjective endings with the indefinite article (ein, eine) - German adjective endings without article German adjectives work just like English ones, except that they take on case endings when they come right before a noun With this quiz of German adjective endings, your german grammar will get better, you should just repeat and repeat and adjektivdeklination will not be a problem for you. To understand these endings, you need to be familiar with the "hard" endings for nouns. The rule for adjectives before a noun is this: when there’s no hard ending in the noun or article, add it to the adjective. At the end we say deutsche grammatik is not easy but with the some exercises you will get it. While playing German adjective endings no internet access is required. The app is free and works offline, and contains most used german verbs (the list will be constantly actualised), which allows you to learn how to use them. The next version will contain more than 1000 german verbs. Stay Stunned. Have you mastered These verbs ? So have passion and be ready for the next challenge. These liste of verbs is very important to learn in every language. If you have mastered this list of German verbs, then perhaps you should download our German words app.